Chapter 970, allowing 2013 start, found unconstitutional; judge holds Norris-Todd itself in abeyance. 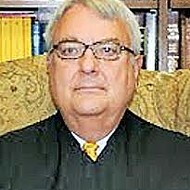 The long-awaited ruling from U.S. District Judge Hardy Mays concerning the municipal-schools issue has come down. In a 65-page ruling, Mays has found Chapter 905, the enabling legislation from the 2012 sesson of the General Assembly unconstitutional, effectively putting a stop to the plans of six Shelby County suburbs to set up special school districts for the 2013-14 school year. Mays further held in abeyance the question of the constitutionality of two other pieces of enabling legislation — Chapter 970, also from the 2012 session, and Section 3 of Chapter 1 of 2011 (a.k.a. 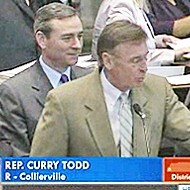 Norris-Todd), which first authorized the lifting of a long-standing state ban on new special school districts. That original legislation — by state Senator Mark Norris and state Representative Curry Todd — was conceived in response to the then pending surrender of the Memphis City Schools charter, already voted by the MCS board and later ratified by the Memphis City Council. It was the fact of charter surrender that made merger of MCS and Shelby County Schools inevitable and forced the hand of those in the suburbs who desired to keep their schools independent of the Memphis system. Chapter 905 was an add-on bill offered by Norris and Todd last spring as a means of circumventing a ruling by state Attorney General Robert Cooper which prevented any preliminary activity toward creating new districts until August 2013, the date specified by Norris-Todd. In striking down 905, Mays found credible and compelling a mass of testimony and evidence -- including videos of sponsors' statements from the legislative session -- that plaintiffs had offered during a September trial as proof that the 2012 legislation was intended by its sponsors to apply only to Shelby County. "There is in the history a sense of a wink and a nod, a candid discussion of the bill‟s purpose occasionally blurred by a third-party correction. The history is clear, however, that the bill never would have passed had it not been intended to apply only to Shelby County." That fact rendered Chapter 905 a private bill disguised as a general bill, Mays said in declaring it null and void. Bills applying only to a single county must be ratified by the chief legislative authority of that county. That would be the Shelby County Commission, the major plaintiffs in this case, who were not consulted on the measure's passage. Said Mays: "Although general in form, Public Chapter 905 is local in effect. Because it does not include a provision for local approval, Chapter 905 is VOID under Article 11, Section 9 of the Tennessee Constitution. All actions taken under the authority of Chapter 905 are VOID. The Municipalities are enjoined from proceeding under Chapter 905 to establish municipal school districts. "The Third-Party Plaintiffs are invited to submit additional arguments, both factual and legal, addressing only the constitutionality of Chapters 970 and Section 3 of Chapter 1 under Article 11, Sections 8 and 9 of the Tennessee Constitution. Those arguments should be submitted not later than December 11, 2012, and should not include further references to legislative history. The Third-Party Defendants may respond no later than December 27, 2012." 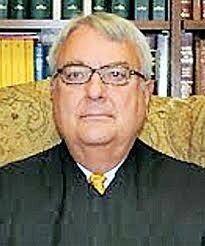 Judge Mays entered his ruling on the eve of his departure for a brief vacation. He had held off releasing it until court-ordered mediation sssions between the parties last week ended with no agreemnt in sight. 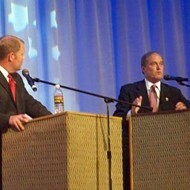 The ruling would appear to be a clear victory for the plaintiffs in the case — the Shelby County Commission, the Memphis City Council, and the City of Memphis — and an equally smashing defeat for the five suburbs — Grermantown, Collierville,Bartlett, Lakeland, Arlington, and Millington — whose voters had authorized the special disricts in the August 2 election and elected school boards on November 6. Shelby County Commission chairman Mike Ritz, when contacted some 15 minutes after the ruling became public at 7:50, declared, "It looks like we got what we asked for." 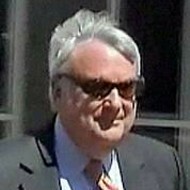 Ritz would elaborate on that after completing his reading of the court document. "This means that everything the suburbs have done thus far is canceled out, and I don't believe they will ever convince Republican legislators elsewhere in the state to legislate an alternative applying to the whole of Tennessee." A Commission colleague, Steve Mulroy, who had predicted the form of the outcome earlier on Tuesday, said simply, "We won." Indications were that the suburbs would simultaneously appeal the Mays ruling and make a preliminary start on a possible network of charter schools. Such schools would have to be approved by local school authority -- in this case the Unified School System board -- but the suburbs could expect more help from Norris and, for that matter, from the charter-friendly administration of Governor Bill Haslam, which has already compelled boards in both Shelby County and Davidson County (Nashville) to reverse decisions against charter school applicants. Whatever further action the suburbs take, the ruling seems to have made it clear that the August 2013 school year will begin with the Unified School District serving as the public school jurisdiction for all of Shelby County. Bartlett Mayor Keith McDonald, a consistent spokesperson for the municipal-school movement, said upon learning of the Mays ruling, "We're wounded, but we're not dead." McDonald conceded that the ruling made municipal systems imposible for the 2013-14 school year but held out hope that Norris-Todd might still be found viable, permitting the suburbs to make a new start on Municipal districts after August 2013. "There are all kinds of creative new ideas for public education, in both the state and the nation," McDonald said, apropos the idea of seeking alternatives to the concept of municipal school districts. "As I've said for two years, we're in this for as long as it takes. David Pickler, the former chairman of the Shelby County Schools board, a current member of the Unified School Board representing Germantown and Collierville, and a proponent of municipal schools, said of the Mays ruling, "This is certainly a delay but not necessarily a defeat. It's even an opportunity for all parties to the issue to engage with each other in a board room, not a courtroom, possibly to create a new vision that respects everybody's rights and the principle of self-determination."